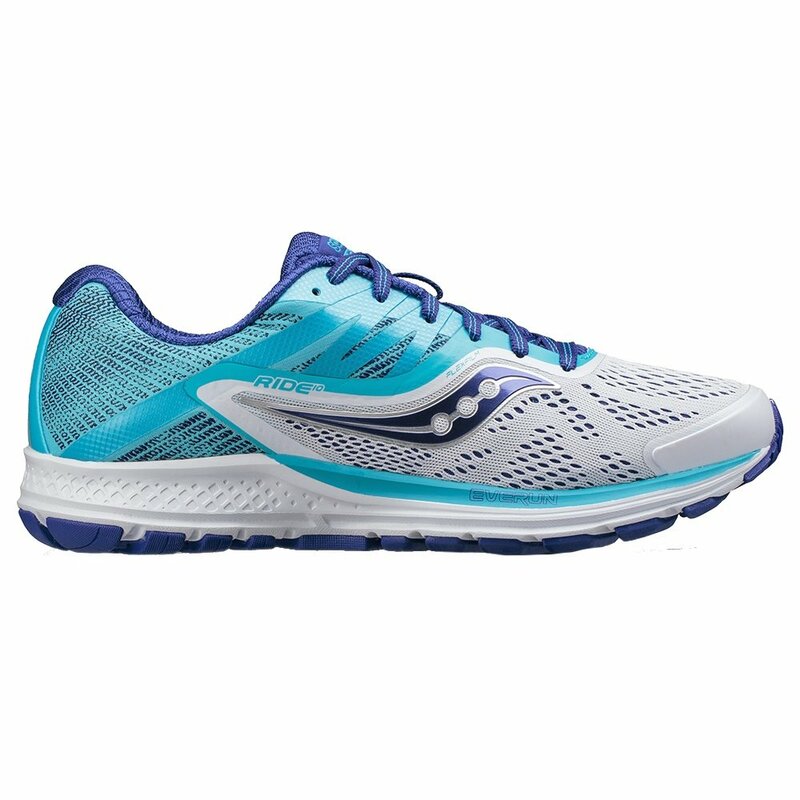 Perfect for new runners who aren't sure what they need, or experienced runners looking for simplicity, the Saucony Ride 10 Women's Running Shoe offers support and stability in a comfortable, lightweight package. The engineered mesh upper ensures comfortable breathability, and the woven heel section provides additional support to help fight pronation. Underneath, there's an EVERUN Topsole that provides reliable impact absorption with powerful energy return, while the TRI-FLEX Outsole improves your contact with the surface for enhanced traction.